We believe we have an interesting and varied program for the workshop and are very happy to have found Maria Mortati willing to give an exciting interactive keynote presentation before we ourselves will start brainstorming. Maria Mortati is an Artist and Museum Experience Developer, interested in examining and amplifying the relationship between public and institution, public and private. 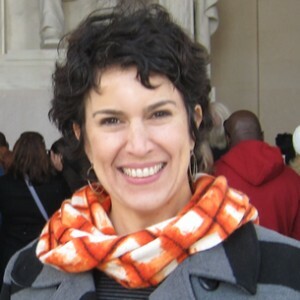 Her projects span formal exhibitions to short-term interventions, involving collaborations with other artists, communities, and staff.Maria is an Adjunct Professor in the graduate design program at the California College of the Arts. She has a BFA in Studio Art from the University of Colorado, an MFA in Design from Stanford University.Maria works with museums to develop exhibitions and experiences that engage the public in new and more interactive ways. She enjoys working in collaboration to bring participatory experiences to life.